Knork has really been creating some great cutlery recently. 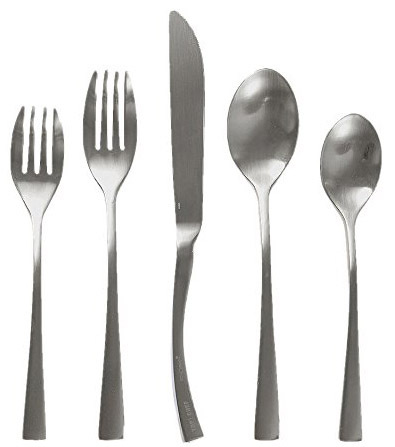 The curved look of this flatware is pretty funky I must say. And the look of the hand forged 18/0 stainless steel really gives it some character. That knife though, look at the wicked hook in the handle. It looks like a Kukri knife. This is a set of 20 that are place settings for 5 people that consists of salad fork, dinner fork, knife, table spoon and dessert spoon. It of course is dishwasher safe.